Prop 37. GENETICALLY ENGINEERED FOODS. LABELING. INITIATIVE STATUTE. 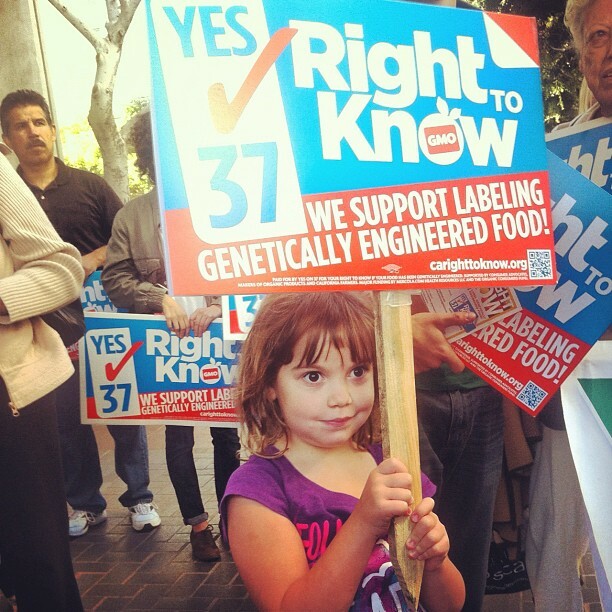 Those that supported Prop 37 argued that regardless of the science behind GMOs, it is the consumers’ right to know what is in their food and how it is produced. They argued that other countries label their food as genetically modified, and if the companies responsible for the GM crops have nothing to hide, there shouldn’t be any reason not to label. Numerous companies, and many farmers, opposed Prop 37 on the grounds that there was no clear standard for what should be label as genetically modified. They also argued that the cost of labeling would be passed on to the consumer and result in increased grocery bills. Ultimately Prop 37 failed, like all other previous propositions in other states.